Grab some napkins and head on over to the dinner table. 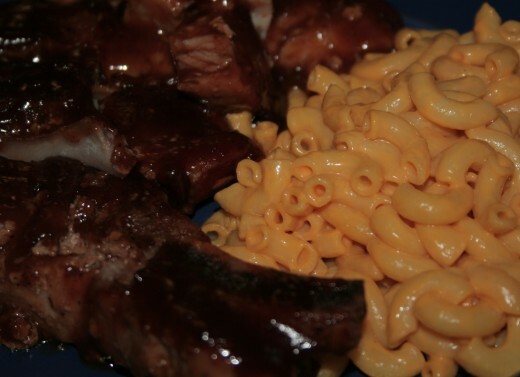 Honey barbecue pork spareribs with macaroni and cheese. Semi-homemade, easy, delicious. It's what's for dinner tonight! 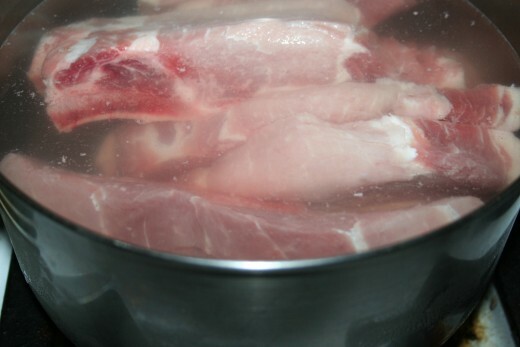 Boil ribs for approximately 1 hour. Water will boil down about half way. Turn stove off and set pan aside. Let ribs cool. 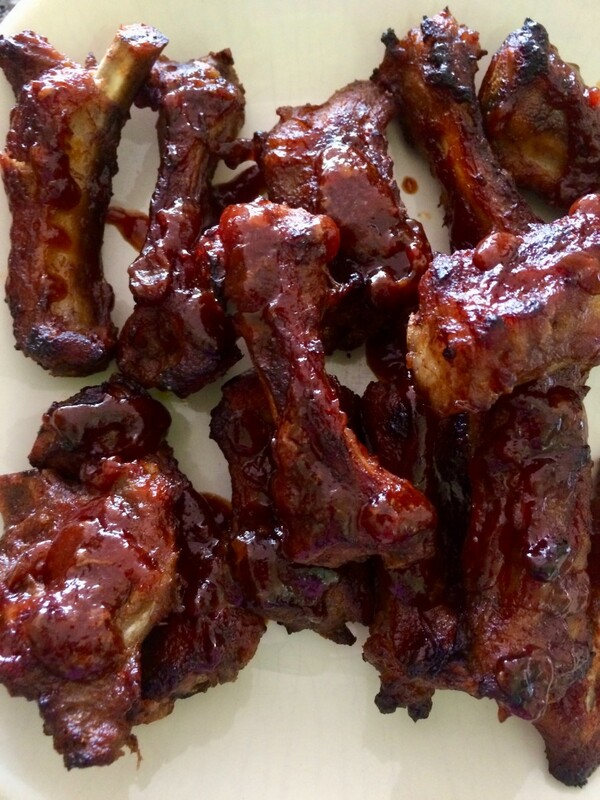 Once ribs have cooled, transfer ribs in a single layer to glass Pyrex baking dish about 11 x 9 inch pan. 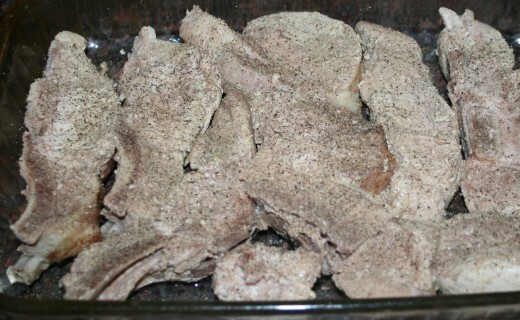 Sprinkle garlic salt and black ground pepper over ribs, to taste. 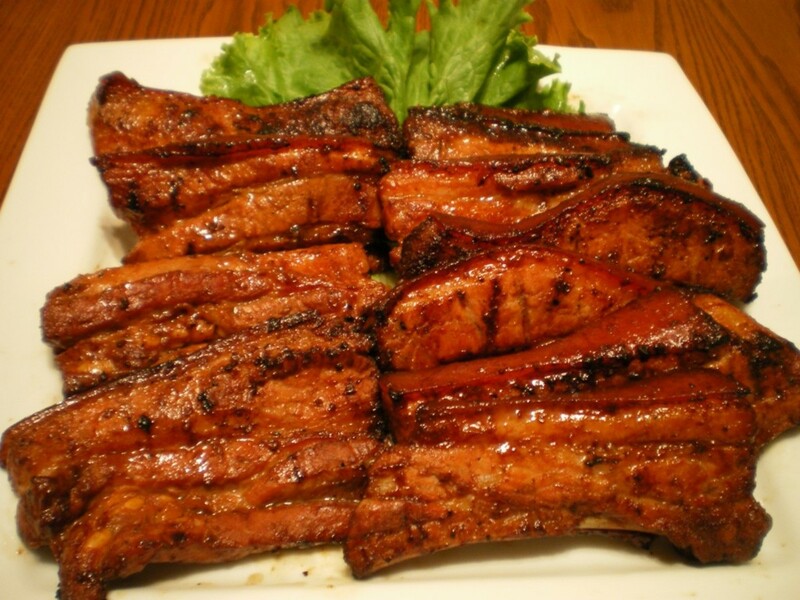 Pour two bottles of barbecue sauce over ribs and spread out evenly with a pastry brush. Pour 1/2 cup water over ribs. Serve with suggested sides: macaroni & cheese, cornbread, buttered corn. Sprinkle with garlic salt and black ground pepper to taste. Use tongs to transfer the ribs to a Pyrex dish. A 11 x 9 Pyrex with a lid works best which can be stored later with leftovers. 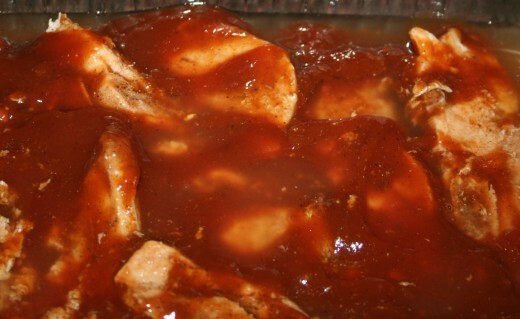 Use store bought honey barbecue sauce. 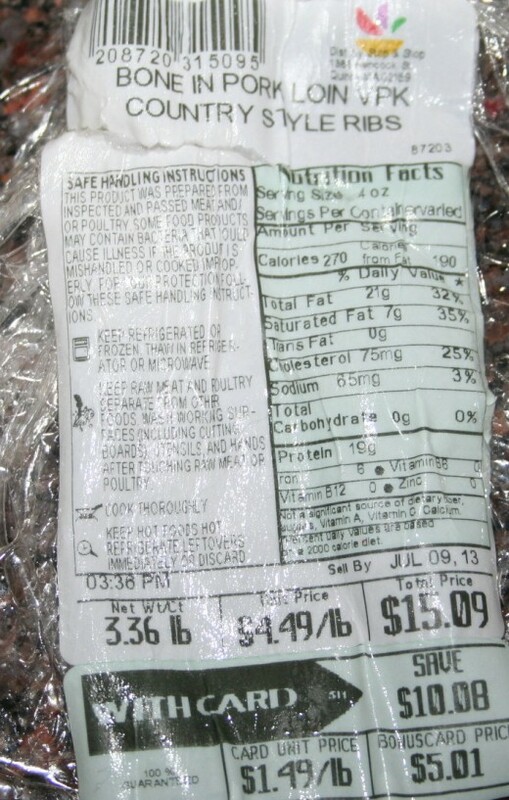 Two 18-ounce bottles will be enough to cover a 3 pound package of ribs. Brush evenly with a pastry brush. Pour on about 1/2 cup water. The barbecue sauce will spread on thick. The water will keep the sauce hydrated through the baking process and the ribs will come out finger licking good! 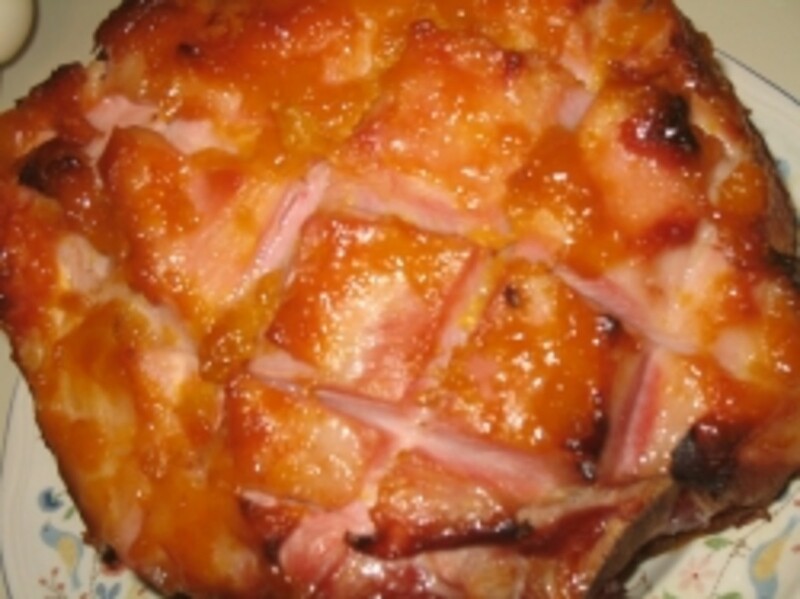 This same recipe can be used for country style bone-in beef ribs. This recipe yields enough for a family of four and maybe enough leftovers for one lunch. Having a big party and need more ribs? 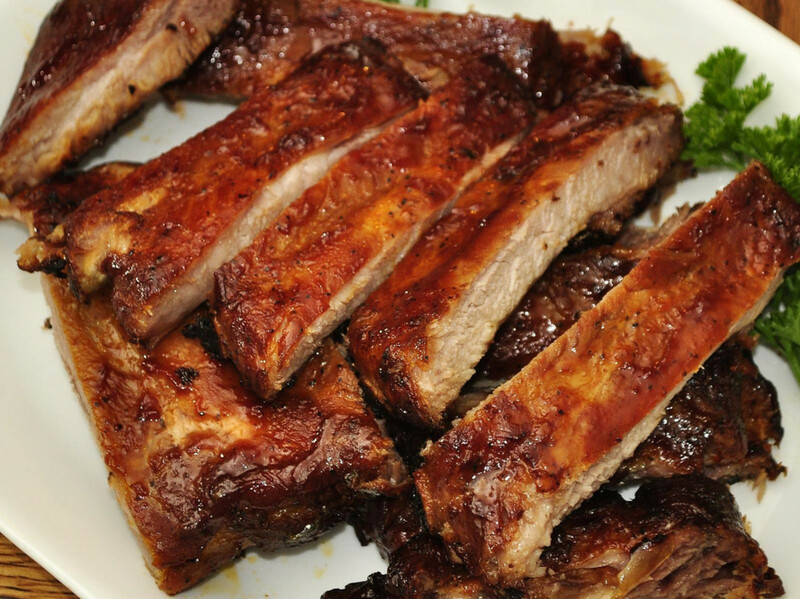 Make the ribs ahead of time by boiling, seasoning, and freezing the ribs ahead of time. Bake in disposable aluminum pans. Have wet napkins available for guests at your dinner table. 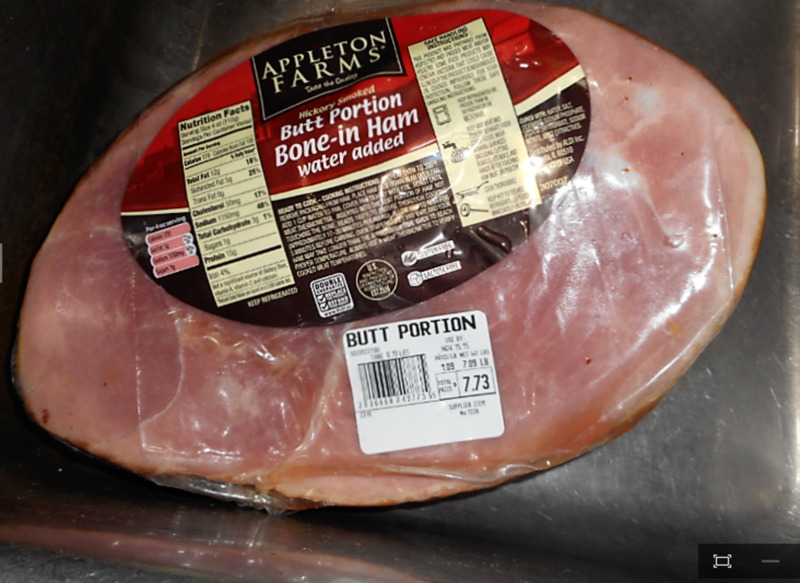 I am already salivating, I am not a fan of pork, but will try the interesting recipe. They look delicious. Voted up, awesome and interesting.